As I said in my last post, I would be using Becky’s Place (still not sure I like the name?!) to record some of my IVF journey. I know there are loads of blogs, vlogs (predictive text was adamant that should have been clogs! ), websites and IG pages out there, but each journey is different and I think writing it down will help get through it. Today marks an important day in our journey! Today I take my last cycle suppressant, which means in 3-6 days I’ll be able to start my injections (stims). That will be the real start to our IVF journey and I can’t wait! I really never thought I’d be this excited by the prospect of stabbing myself with a needle! 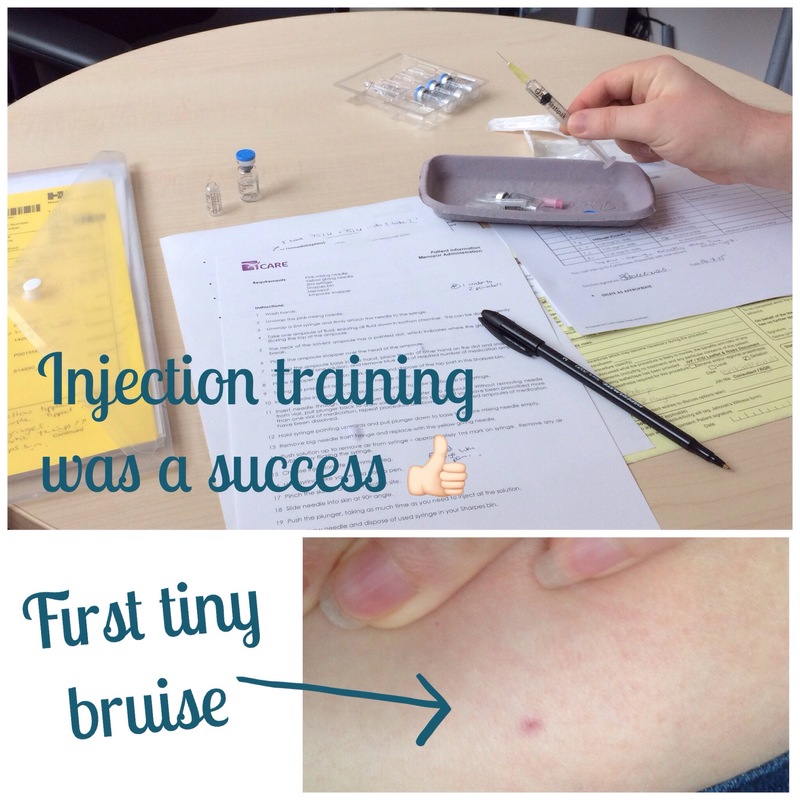 We had our injection training on Friday and I was raring to go. I practised stabbing myself and it was fine but then today I made mistake number 1 (of which I’m sure there will be many more!) I watched youtube videos! For those that have never aimlessly wandered through youtube watching IVF videos (and why wouldn’t you?! ), it is a minefield of woman sharing their experiences and showing you their injections. Some women cry, wince in pain, talk about how much it burns, and generally moan about them. I was super positive it would be fine as I had expertly stabbed myself with no pain, now I have been freaked out! I am sure everyone’s experience is different and I know I need to keep my positive attitude and not be swayed, but I am so easily influenced! IVF Tip #1 – do not watch youtube videos before you start stims! We are almost there. The journey to our little cub. I started Lupron on 7/27 giving myself injections every morning for IVF cycle 1. I started stims on 8/6 and have been jabbing myself 3 times a day. Some pokes are worse than others. Some I don’t feel at all. Sometimes the medication burns a little sometimes it doesn’t. I can say though that I my belly is nice and bruised and I just pray that I am growing some good eggs. Good luck with your cycle! I did not watch any IVF youtube videos but now you have me intrigued! Wow, you are strong. I couldn’t needle myself. My bf would have to do it with my mom holding me down. I went to a dr appointment and my doctor was shocked that I burst out in tears when she said needle.